Oscar Leung takes Bob Lam out as Wilson Chin says, "Brothers, no problem." Famous television program producer Wilson Chin Kwok Wai two nights ago wed. His YOUNG AND DANGEROUS (GOO WAT JAI) brothers Dior Cheng Yi Kin, Jordan Chan Siu Chun, Michael Tse Tin Wa and others performed FRIENDSHIP AGE on the stage. A drunk Bob suddenly jumped onto the stage and grabbed the microphone. After a round of struggle he was finally dragged off stage. Siu Chun was already rather upset, as he broke into foul language and threw the microphone. 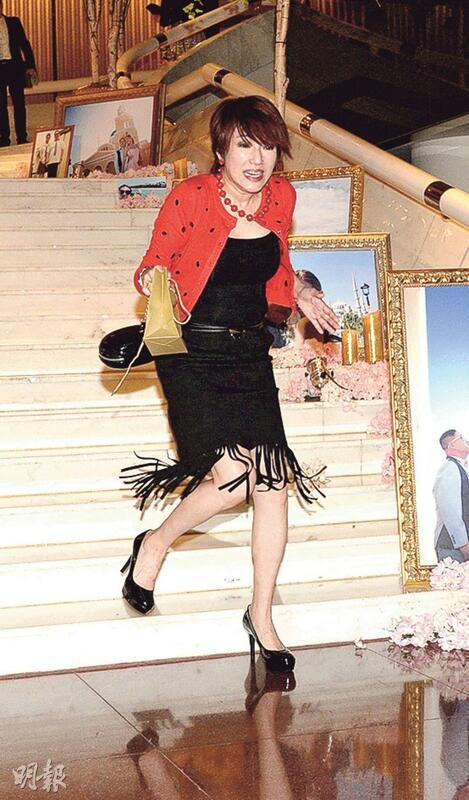 Some even said that Siu Chun wanted to leave the stage to chase after Bob. 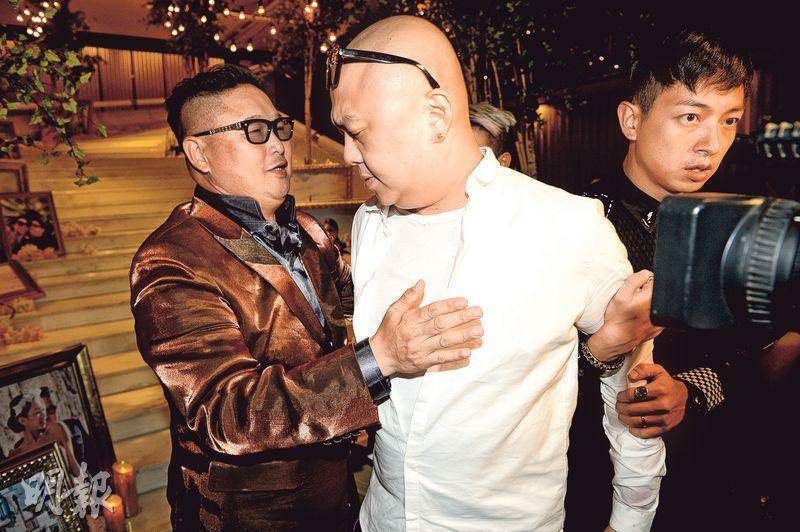 Later Bob was dragged out of the venue, but he insisted on returning to apologize to Siu Chun. His friends stopped him. Around 1AM, Bob left with friend Oscar Leung Lit Wai. Did Bob have any unpleasantness? Wai Wai answered, "No, nothing happened." Did Bob drink a lot? Bob said, "Actually I didn't drink that much. (Did someone "greet" you?) Did someone greet me? I am very happy about Wilson's wedding, I really am very happy. (Did you apologize to Siu Chun?) We are all brothers, we are fine." Then Bobo grabbed Wai Wai and kissed him three times in a row and said that Wai Wai was his best friend. Then he left. 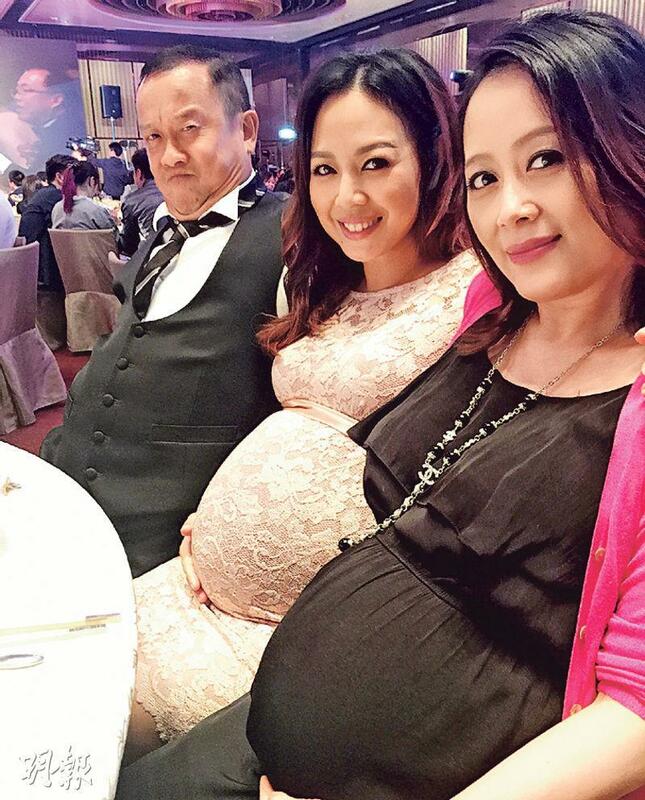 Jerry Lamb Hiu Fung denied that they had any struggle and said that everyone was happy for the new couple. They were only generating atmosphere. He joked the show business friends were very easy, everyone only knew the words "Kung Hei Fat Choi". He said, "Bob said it, Siu Chun couldn't respond in time. He only said, "Thanks a lot" and lost 4 to 3. Thus we have to pick another date for a rematch." Did he hear Siu Chun use foul language? Ah Lo said that he was lucky not to hear it. The groom Wilson also denied anything unpleasant. He said that everyone was only happy for him. The incident was only done to generate atmosphere and they were fine afterward. 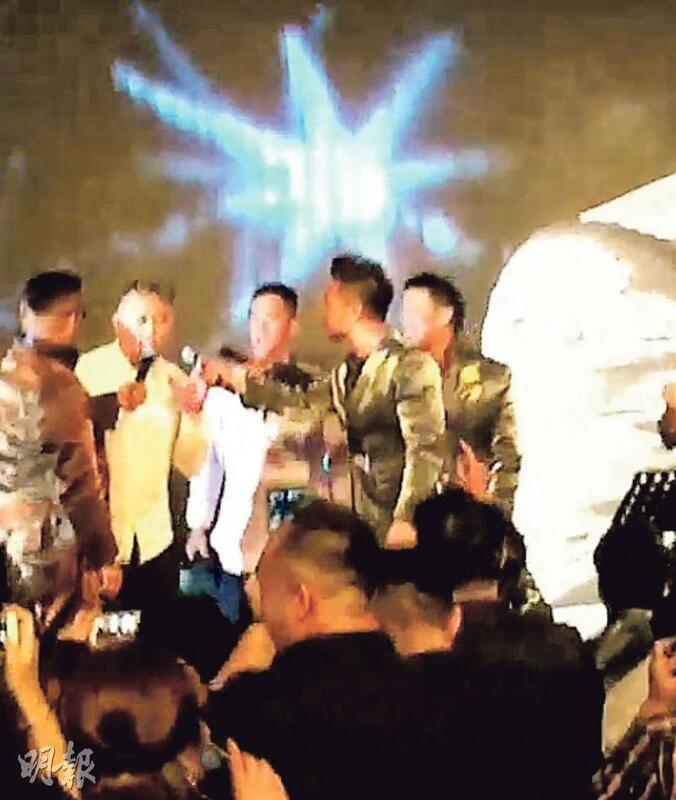 Did Siu Chun toss a microphone? Wilson said no, the incident expressed the atmosphere of their friendship age. Did he use expletives? He said that normally he would. "I don't think it's a problem, the most important is that everyone is happy. No matter what, everyone in the end very happily completed this joyous event tonight. (Some said that Bob upset Siu Chun?) I don't know what happened." He said that Bob said to him, their film will continue. He will also continue to work with Siu Chun on their concert. Everyone were his friends. Would he play the "mediator"? He said, "They have already settled, they no longer have a problem. Everyone are good friends." 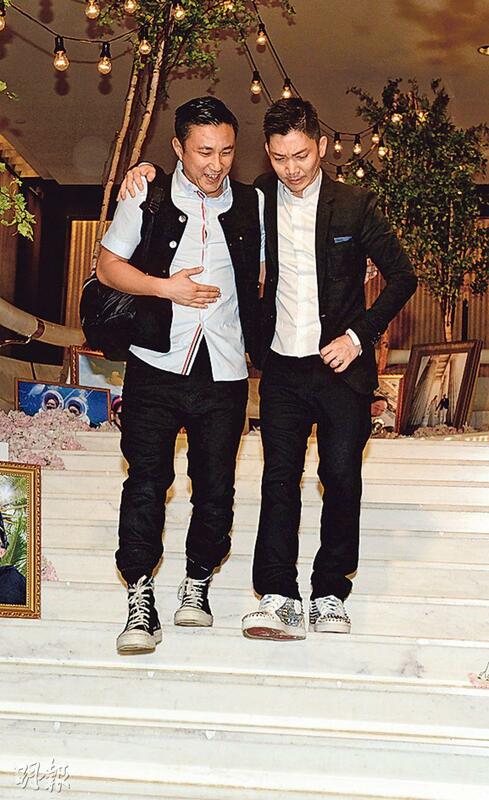 Best Man Alex Fong Lik Sun also denied any struggle and quickly said, "Foul language isn't a bad thing." Bob yesterday responded on facebook. "Once I thought that when you work you give you all, when you play you give you all too. Looking back at this time's video, once or twice it maybe very cute, if you watch it again and again then it isn't funny at all! I have lost my composure several times from drinking, in the end was it because I was too happy? My tolerance was too low? My work pressure was too great? All of the above may be included, but today I wake up and quietly think alone in clarity. Actually there is only one reason, I didn't properly control myself! I permitted myself to go too far when I was happy! For my family, close friends, little friends who have always supported me, I need to properly......take another look at myself! I don't want anything that I have worked so hard to build to succumb what is in a glass! I am sorry for making everyone worry, sorry."